Bair Island Aquatic Center (BIAC) and Hui Wa’a Outrigger Canoe Club invite you to join us on the water! 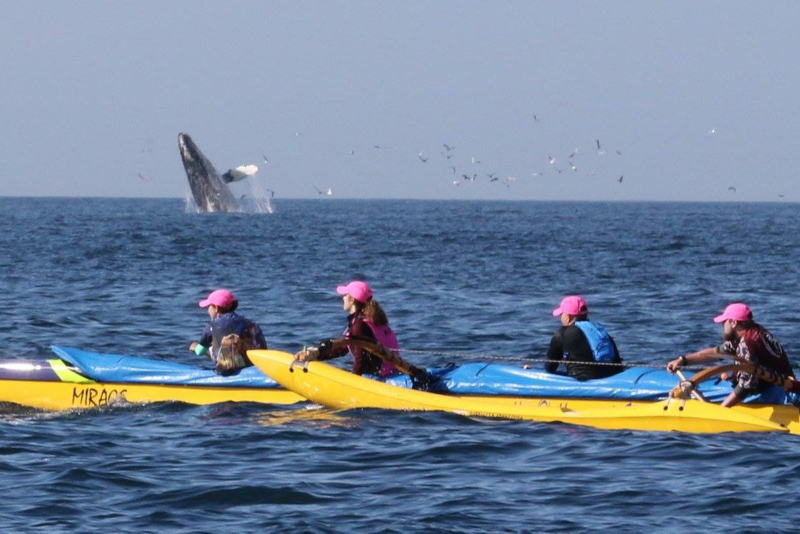 Outrigger Canoe (Wa’a) Paddling is an ancient form of ocean travel that offers a fantastic, low-impact, total-body workout while spending time on beautiful San Francisco Bay. Learn basic paddling technique and experience the satisfaction of working with your crewmates as six paddles become one. Classes are held in the waters surrounding Bair Island, the largest remaining restorable wetlands in the South San Francisco Bay. Where and when? Practices meet at BIAC, 1450 Maple Street, Redwood City. 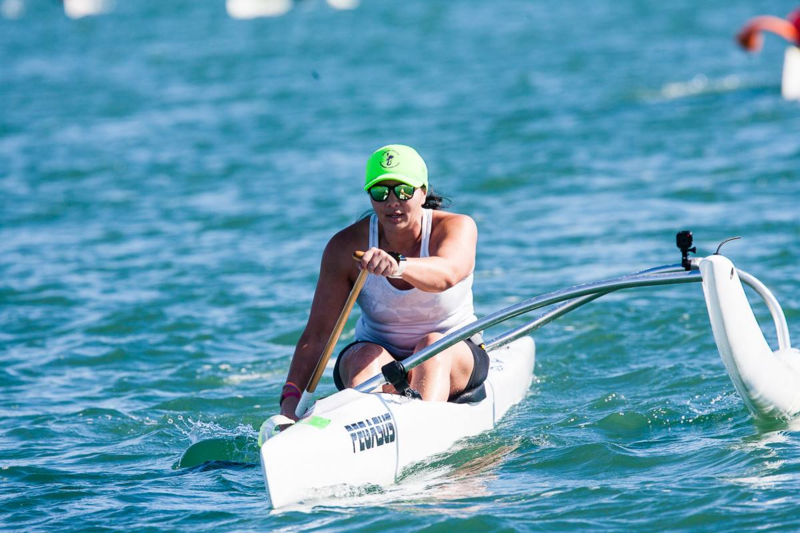 The course fee is $125 and includes four sessions of paddling instructions on a 6 man outrigger canoe. Please contact learntopaddle@gobair.org to schedule. What should I wear and bring? Wear comfortable and close-fitting workout clothing. Bicycling gear is great. In colder weather, wear layers. Your feet will get wet, so wear appropriate shoes or sandals. Other articles to bring include a hat, sunglasses, sunscreen and drinking water. Where can I learn more about Bair Island and Paddling? You can learn more about BIAC by exploring this website. For more information about paddling, please visit BIAC Paddling and Wavechaser on Facebook. 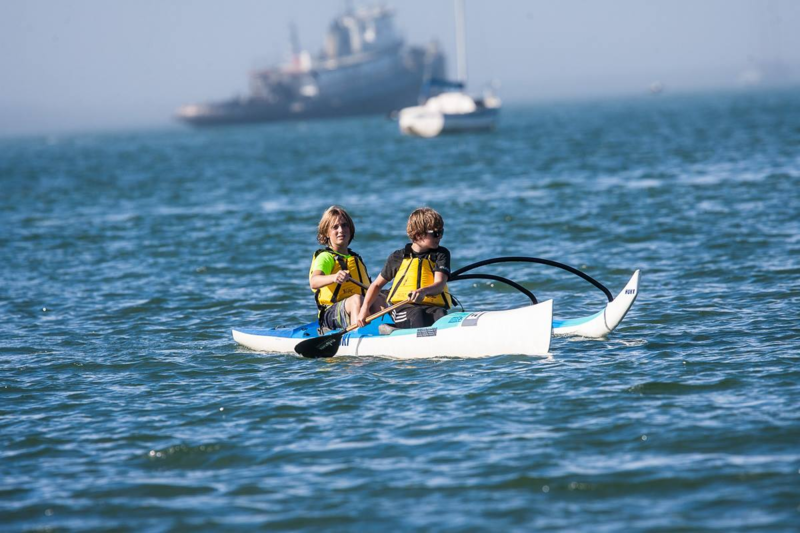 Paddling is great for all ages and levels, and is considered a family sport. How Do I Sign Up? To register, go here. For more information, please email learntopaddle@gobair.org. Refund Policy? No refunds are offered after the first day of practice.